Continuing our series of blogs on the upcoming election, this blog takes a look at the government’s record on health and audiology services in England. One of the big changes over the past five years has been the Health and Social Care Act 2012. It’s fair to say that this got a rocky ride through Parliament, with some seeing it as another top-down reorganisation of the NHS and others seeing it as necessary to make the NHS more streamlined, less bureaucratic and patient-centred. In terms of structures, deaf children and their families may not have noticed many changes in terms of where audiology services sit and who does what. But behind the scenes there have been lots of changes in funding and organisational arrangements, leading to uncertainty and confusion over how the changes impact on audiology services. There have also been changes to how audiology services are checked to ensure that they’re providing a good service. The existing quality assurance programme, which looked at the patient journey from screening of babies for a hearing loss to diagnosis and audiological support and other support, has been scrapped. For audiology services, this has been replaced by an accreditation scheme called Improving Quality in Physiological diagnostic Services (IQIPs). Unfortunately, IQIPs isn’t mandatory and there is a lack of transparency over how has applied for accreditation. This means that parents of deaf children now have less information about the quality of local audiology services. Are deaf children getting the support they need? This matters because there are increasing concerns over whether those audiology services are doing everything they should to ensure deaf children get the best possible support. Before the old quality assurance programme was scrapped, it was found that 1 in 3 audiology services were failing to meet basic government standards. We have no real idea whether that has got any better – or worse. On top of that, NDCS is increasingly being contacted by parents saying that they are noticing cutbacks in audiology, some of which are set out in the NDCS Listen Up! campaign report. These range from having to wait long times for ear moulds or delays in diagnosis, to being denied funding for specialist auditory implants. Even small things, like offering coloured earmoulds are being cutback, even though this can really encourage deaf children to wear their hearing aids and make the most of their hearing. Deaf young people also tell us that deaf awareness in health settings also remains an ongoing issue, as set out in the NDCS My life, My Health report. The good news is that NHS England has started to wrestle with this issue and a new accessible information standard, is expected to be launched next year. As part of this, all NHS settings, including GPs, will be expected to do more to meet the communication needs of deaf people. As with education, trying to do justice to five years of health policy in a single blog is a challenge and the above does not attempt to cover everything or even to touch on wider changes that impact on all children. Again though, we hope it provides some food for thought though. Let us know what you think about our summary evaluation by leaving a comment below. Deaf children and young people in Wales repeatedly tell us that deaf awareness is simply not good enough – in schools, leisure activities, NHS, public transport and shops. That’s why NDCS Cymru as a team has made raising deaf awareness a key objective, in terms of campaigns activity and also Family Officer outreach. Here’s an example of one such initiative where NDCS Cymru (in partnership with John Lewis, Cardiff) facilitated a supportive, meaningful work experience for deaf young people, and hopefully ensured an enhanced shopping experience for deaf children, young people and the wider deaf community going forward. Whoever said ‘fair exchange is no robbery’ was on to something. In the first year of our relationship with John Lewis my fellow family officer, Jamie Rhys-Martin, and I just provided the deaf awareness training. It went so well they asked for more! But we wanted something out of it as well and that’s when the deal was struck. Jamie and I provide the deaf awareness training to their staff (partners) once a year and a group of deaf young people get work experience placements in return. Here are the best bits……so far! 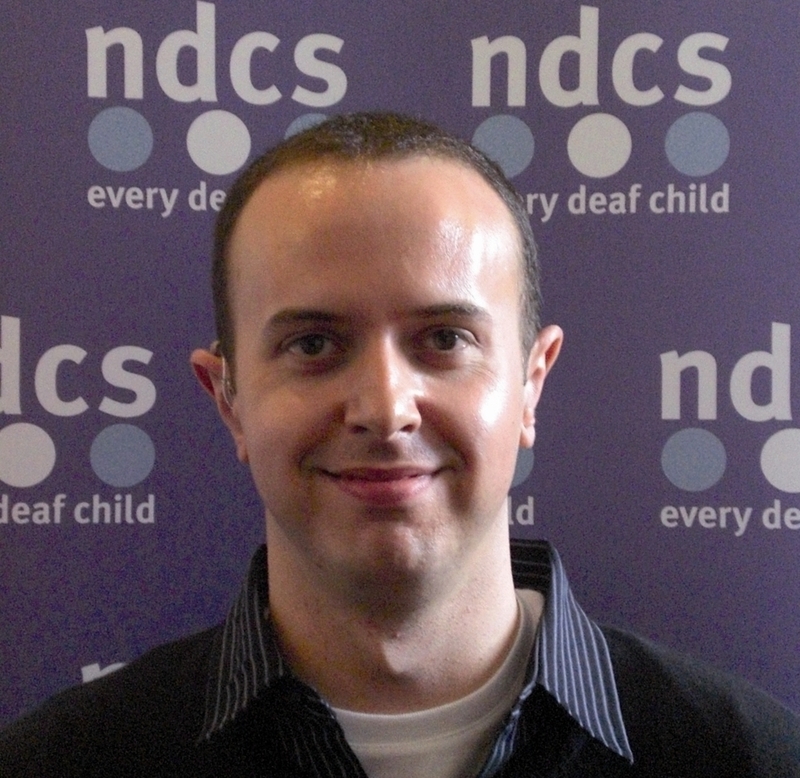 • New opportunities for deaf young people that they would not have had otherwise – and real experience for them and John Lewis partners, putting theory into practice. • Friendly and welcoming partners who want the deaf students to feel included and benefit from their work experience week. • Behind the scenes tours of John Lewis and seeing the inner workings of the store which is a world away from the pristine store that shoppers see. • Mind your BOPS, don’t confuse your FFF and FFs, watch for the WINS and get your fill in the PDR – a lot of confusing acronyms! • Cheap and tasty eats in the HIGHLY subsidised PDR (Partners Dining Room). It was impossible to spend £10 between 3 of us in one day and that was eating and drinking as much as we possibly could at every opportunity. If you knew Jamie ‘hollow legs’ Rhys-Martin you’d know how hard that is to believe but it’s true!!!! We’re very grateful to John Lewis for the giving the deaf young people of south Wales such a brilliant opportunity. John Lewis has demonstrated in a practical way that being deaf is not a barrier in their workplace. Hopefully other companies will follow suit. So here’s to 2015 and the next batch of deaf work experience recruits!